We recently changed our house from For Sale By Owner to listed with a realtor. The photographer came out on Monday, so I went searching for our house online to check out the pictures that he took. I pulled up the website, and did a search for our zip. It was the only search criteria. The first result that came back was THIS. I’m amazed. And shocked. And confused. This is in my zip code. Did you see the ceilings? The paintings (of who, might I add)? The murals? And the property tax amount? The stable? I could go on. I mean, who lives here? And who needs a place like this? I just…I just don’t understand. Let’s go in together and buy it. I’ll let you have at least 4 of the bedrooms. This intrigued me, so I googled. Apparently it used to belong to Larry House, former COO of Healthsouth. It went up for auction in 2003 but the bids weren’t high enough. It appears to belong to the bank now. 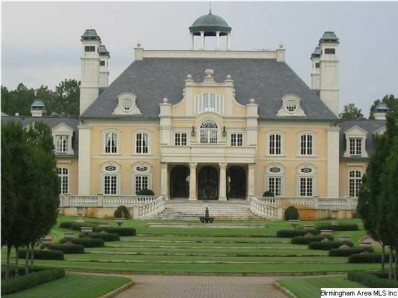 It’s even listed on wikipedia’s list of biggest houses in America. Oh my. It has 14 fireplaces. 14!!!!! And an 11 car garage. I would hate to have to be the one responsible for keeping it all clean! Just for fun, I ran the mortgage calculator on the RealtySouth website. It assumes that you are going to put almost 4.5 million in as the down payment! Even better, it couldn’t give me a monthly payment amount based on those values – the loan calculator can only hold up to a 10 million dollar amount. Someone should have used a long instead of an int. Well, a 32 bit int’s max is 2,147,483,647. 18 million is trivial for that. I imagine the programmer thought to himself that nobody mortgages houses that cost more than 10 million. When you want to buy an $18 million house, don’t you just sell a part of one of your banks to a new partner? That’s what I’d do in monopoly.